One of my favourite things to do in the new year is make lots of fun lists with my goals/plans/resolutions/intentions (whatever you want to call it). I find it so helpful and exciting to look back on the previous 12 months and see what I want to change, achieve and work on. I find having that sort of guidance and direction gives me something tangible to focus on and I do it for everything from places I want to travel to and books I want to read. I’m a secret list lover at heart, so here is one of the 5 #skingoals that are my primary focus for 2017. Since starting the blog over a year ago it’s almost like I now have another full-time job and it’s become a tad stressful. I love doing reviews and sharing my thoughts with you, but it takes up a lot of time and due to family stuff that’s been going on since the summer I am failing at it. I have a serious back log of finished and half finished posts, posts with no pictures, pictures with no posts, drafts, ideas, lists etc etc and it has got insanely out of control. I need to get back on track because there is so much that I want to say and so many things I want to share with you, but sadly I just haven’t had the time. Not only that, I no longer post regularly on Instagram, let alone share my daily routines with you all and I miss it. One of my major goals for this year is to get back on track with the blog and Instagram, post more and hopefully get a routine/schedule in place so doing it becomes easier. Obviously this won’t happen overnight considering it’s the 10th already and I’m only just now getting around to posting this (oops), but it’s something that I want to commit to and I’m excited about it. There is so much in the works that I can’t wait to tell you about as well as things that I used, loved and did last year and it’s high time I shared it all with you. I think that if I didn’t have so many posts hanging over me like incomplete school/work assignments I wouldn’t feel so stressed out, so my plan is to clear the backlog by the end of the month and start fresh. Will it happen? Who knows, but I’m definitely going to try! As many of you will know by now, I have been mostly living and working on the other side of the pond for the past several months and while that has afforded me the great opportunity to discover and fall in love with all the incredible products British skincare brands have to offer, it means that I have severely been neglecting the beautiful brands from back home. A couple of weeks ago when I was doing my year end product inventory (checking if anything was about to expire, run out or needed to be tossed – who else does this?) I realized that close to a whopping 90% of my stash was British. Now, last year it was my goal to explore the homegrown brands while I was here, but it was not at all my intention to completely neglect brands from other countries in the process, so that needs to change. 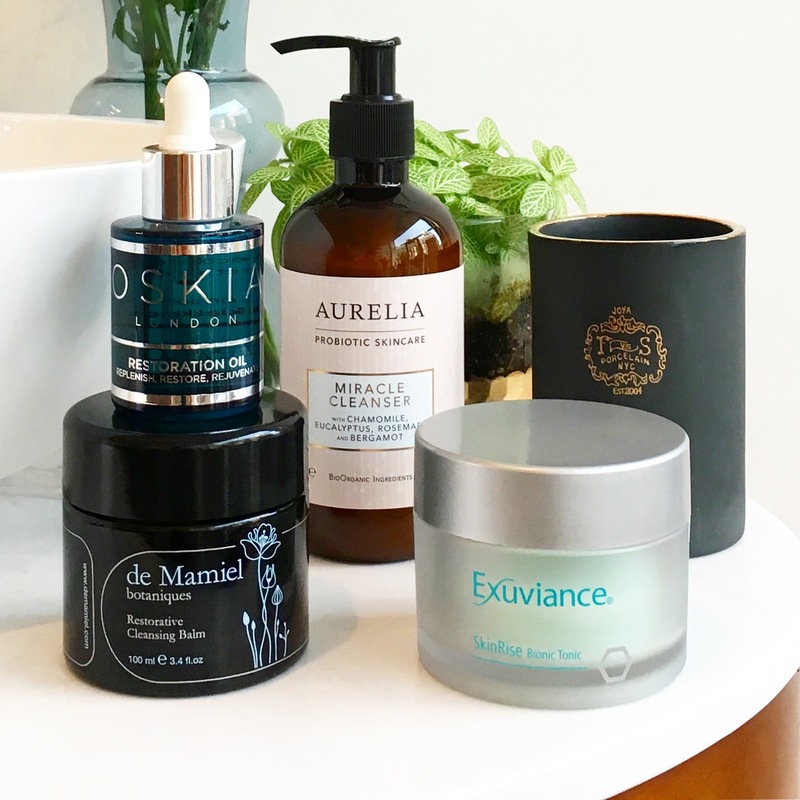 I have missed out on new launches from brands I love and previously used a lot like Odacité, Drunk Elephant and Kypris and never tried a single product from popular brands like Jordan Samuel, Goldfaden MD, Farmacy and One Love Organics. 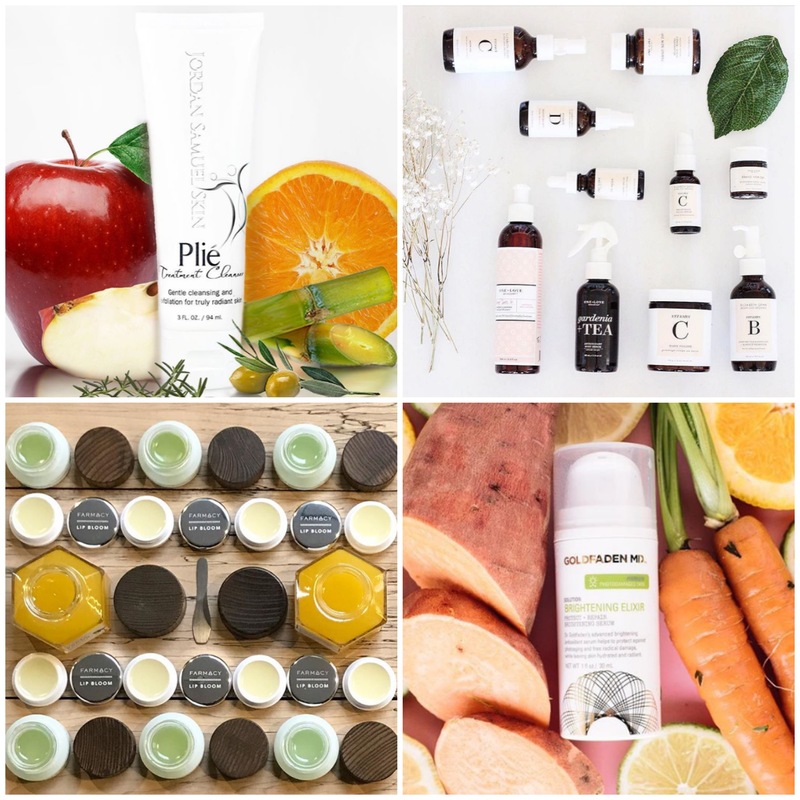 There’s also a whole host of new, niche and exciting green beauty brands that popped up last year that I need to try, but that’s for another list. As I said, this was not intentional – in the beginning I was just so excited to try everything the UK had to offer, but then when I did want to buy American brands I quickly found that there was not the same access here. Many, many brands are either in limited availability or not sold at all over here and if they are, the price is a lot higher than in the US. Also, if you want to ship from the US to the UK you get hit with outrageous shipping, taxes and customs charges. I did this once and then never again because the additional costs ended up being about 50% of the order total and that’s just not reasonable. This year, I am making a commitment to diversify my stash and that’s going to be a lot easier since I’ll be heading home soon (hello, Detox Market!). If you have any recommendations of brands or products that I need to try please let me know because I’m excited to rediscover what American green beauty brands have to offer. A simple but important one that I seem to struggle with year after year. My eyes are the one area that I neglect the most, but need the most attention because they show everything – tiredness, poor diet, too much time at the computer, not enough water etc etc. Whatever is wrong, it shows up in my eyes first whether it’s dark circles, puffiness, watering or stinging. Knowing this, you’d think I would be diligent with my eye care, but I’m not. I have about 6 or 7 different eye serums, creams and masks and I am currently using none of them. I have been totally cheating by taking my serums (CAIS, 2% Retinoid etc) all the way up and around the eyes and that has been somewhat helpful, but not as much as I need. I really like the Caffeine Solution (above) from The Ordinary, so I need to get that back in rotation, but I also need something for hydration. I’m so picky when it comes to products for my eyes because they are really sensitive and many that I’ve tried have made them red or watery, so it’s not easy. I’m looking for the perfect formula that gives quick and long term results, but so far I haven’t found that. I know that with eye products you need to use them consistently to see results so I am going to endeavor to do that. Last year my goal was to use sunscreen consistently and I actually managed to do it after finding a few that I loved using, so I’m hoping the same happens with this. Again, if you have any recommendations please let me know! …which brings me to my last goal for 2017, which is to purge! I have a lot of skincare products and only one face (sadly), so no matter how much I love it all, I can’t use it all! Again, because I found myself repeatedly using the same set of products, that meant there was a lot not being used and therefore going to waste. 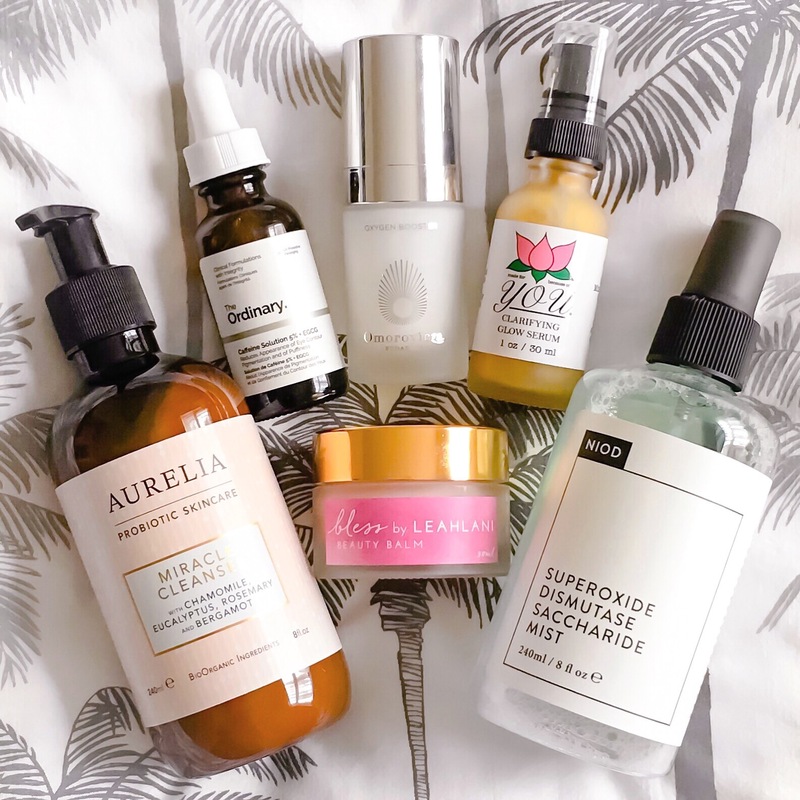 I have found some amazing products that have done wonders for my skin and it’s been hard for me to stray from them, but I hate the idea of half my stash just sitting there collecting dust. I like to have a good mix of products as my skin is combination and I also enjoy the variety, but there has to be a limit. I got overwhelmed and then bored of constantly trying and using new things towards the end of the year and craved the comfort and familiarity of my favourite products more than ever. It wasn’t until Pestle & Mortar landed on my desk that I got really excited about “newness” again and I think that I want to purge the excess products and just keep what I really love, so that when something new does come in I will be less overwhelmed. I will happily continue reviewing new products, but if they don’t make it in to the Cutthroat Cabinet then I will be passing them on. That about covers everything I want to achieve skincare related this year, but if I think of any more I will add them. If you’ve made any #skingoals for 2017 I would love to hear what they are and here’s to another great year of skincare! Wow, you summed up what I’ve been feeling! Sometimes blogging takes quite a bit of time and it can be discouraging (at times). Testing, research, writing. I’ve done the opposite and post more to Instagram than I do my blog. There were some things that came up last year taking priority over the blog and they’re resolving now. 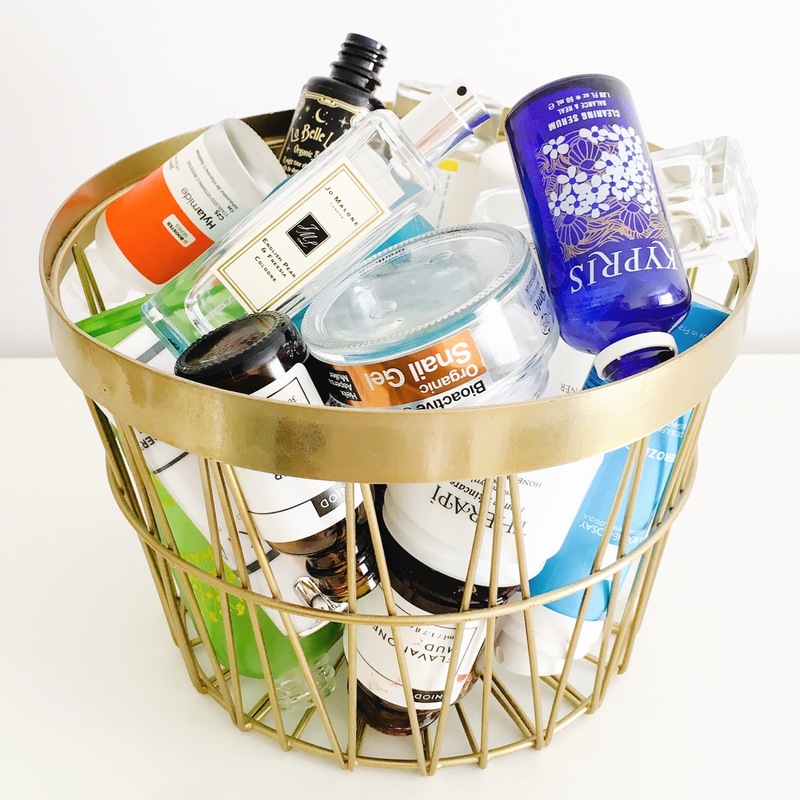 Love the photo of the basket of products that didn’t make the cut. I also try to pass things on to others if I know I won’t be using them. I’m learning that just because I have the product doesn’t mean I have to use it. If I don’t reach for it, I need to cut myself some slack. Hi Arly, What a beautiful post. I agree with you totally on the eye edepartment. I have been searching for the best product for so long. At the moment I am using Verso eye serum, La Mer illuminating eye gel and Sisleya eye cream and eye gel. These products have really made a difference. Then again I have dry skin so I don;t know if they are suitable for you. I have to many products to mention and even if I do still love trying new products I also have only one face. Pestle & Mortar have made a real difference to me. So I will continue to use their serums for sure! Wish you all the best with your resolutions. Can;t wait for the results. I really appreciate your eye product recommendations – I used the Verso a few years ago and I think it really burned my eye area and made my eyes water. I think it was a little too active for me. I will add the others to my list for researching. My eye area is somewhat dry so they might work for me. I’m so glad that Pestle & Mortar have made a difference for you. I think they are such a great brand and I can’t wait post about them next week. I think only other bloggers really understand how much time, energy and planning proper blogging takes. And in case one isn’t a professional, this is a major juggling act. Thank you so much for this! I completely agree with you – there is so much that goes in to writing a blog post and a lot of people don’t understand how much work it is. It really is like an unpaid second full time job and I appreciate when other bloggers can relate. 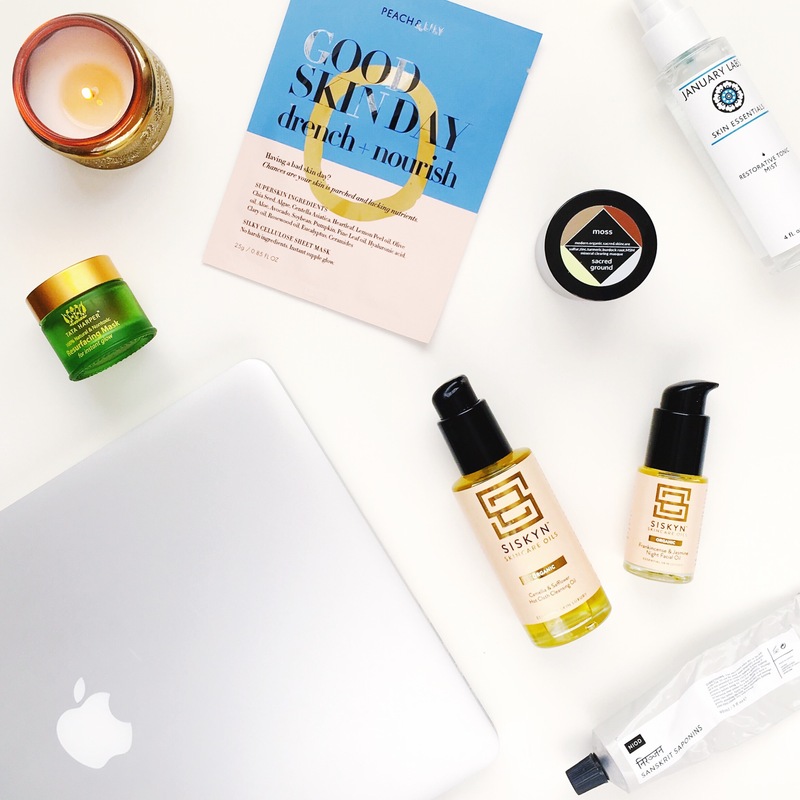 Oooh, you’re so lucky to have the eye cream category sorted – any recommendations? New to your blog by I absolutely love it! I’m relatively new to skin care and I love how in-depth and easily you explain everything. Can’t wait to read more this year! I am happy that I found your blog. Being from Europe poses some dificulties you are absolutely right.